Read the hour and minutes of the time in a timeless fashion. Norm Architects from Denmark have designed a wall clock with clean lines, stripped of all unnecessary details. The minimalistic Marble Wall Clock’s design allows you to read the hour and minutes of time in timeless fashion. “With smartphones replacing traditional clocks in our society we’d like to see a renaissance of the classic wall clock, an object not only beautiful but also highly distinguished. The Marble Wall Clock exudes nostalgia, and we’ve chosen a material combination that speaks to most human senses, something very important as a designer," says Norm’s Jonas Bjerre-Poulsen. The Marble Wall Clock is presented in two options of the finest marble: Green (Verde Guatemala), Black, and Matte White. Both come with hour- and minute hands in lacquered brass. The use of high-quality marble allows for a maximum appreciation of its mosaic and complex structure. 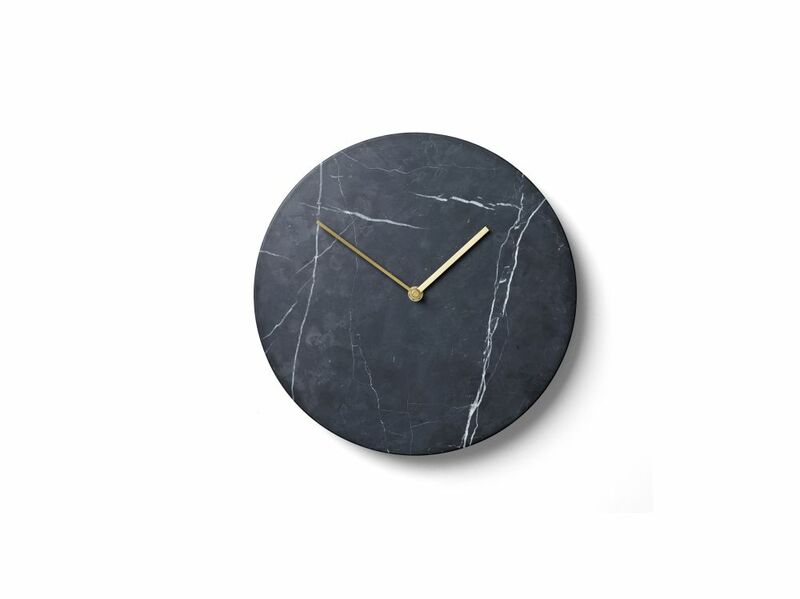 Decorative, uncomplicated and made from natural, honest materials, the Marble Wall Clock is an elegant object that helps you keep track while looking back.